Hello ppl, hope you are all doing well. 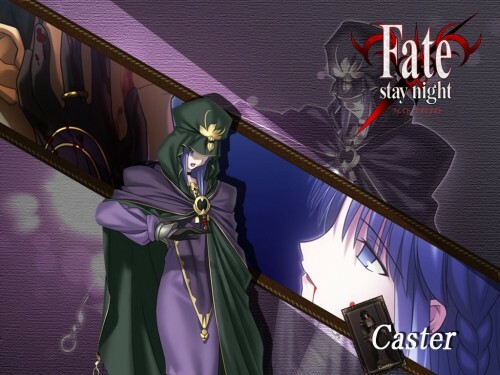 I havent seen any wallpaper of caster in this site, thats why I am adding this one, hope yo all enjoy it ^^. Like most things related to Fate/Stay Night, this looks great! The colors are impressive, as is the way you broke up the background -- creating interest in the wallpaper as a whole. really good wall.. thnx a lot... very nicely done..